When a consumer needs to make a claim against a store or company in Spain, you’ll often find it’s quicker and easier to use your local municipal consumer office (OMIC – Oficina Municipal de Información al Consumidor). But what claims can you make and what can you expect? Read our guide to find out more. What Can I Do At The OMIC? Provide info and personalised advice on your legal rights. Help you to exercise your right to place a claim. Present a complaint on your behalf (or assist you with presentation). In areas in Spain with a large population of English speakers, you may find that OMIC provides their service in English also. What’s The Difference Between Claims and Complaints? 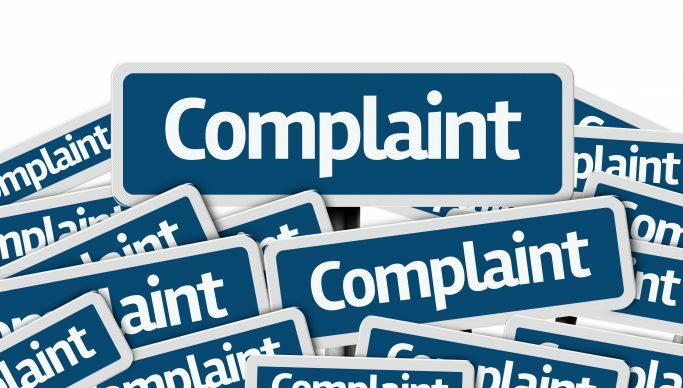 If you want to lodge a complaint, this is simply to notify the Authorities regarding certain facts. In these cases you may have noticed that a company in some way is not complying with the law, but you do not require any personal redress. When placing a claim this creates a record at the OMIC regarding an issue that you feel has affected your legal rights as a consumer. Claims state what has happened and what the consumer expects to receive from the company to solve the issue. Any consumer (individual or group) can place a claim as long as they are acting outside of a professional capacity. How Can I Place A Claim? Visit your local OMIC, normally located at the Ayuntamiento. Check online for the address and see what hours the office is open to the public. Some cities also provide their service online. You may have already requested a Hoja de Reclamaciones from the company. In this case check our post on what to do. A description of the facts and specifically what you request. If you’re not sure about what to request, as it may not be as simple as a refund, ask for advice at the OMIC. The OMIC will try and seek an amicable agreement between the parties involved. First of all they will contact the company and allow a specific time to propose a solution. The result is notified to the consumer. However the Administration cannot force the company to take action. If no answer is received from the company, or the answer is not satisfactory for the consumer, the OMIC will advise regarding what to do. One of the major issues for consumers is that all these procedures take time, often with little hope of finding a solution. However if we don’t complain then companies will continue to get away with abusing our rights. It’s often the case that the service provided by OMIC works better with small and medium sized companies with a physical presence (store or office). If you want to claim against online only or huge international companies then it will be very difficult, though not impossible, to reach a suitable agreement. Remember that the OMIC is not to be used for complaints/claims against local, regional or national bodies. In these cases use the EU’s free Solvit service, full details in our post. Disclaimer: As OMIC provides a non-standardised municipal service, the exact procedures may vary across Spain.